In all aspects of life, it’s fun to dream. Even when it comes down to something as exciting as college football, the ability to dream big is encouraged. Though the season is over, college football analysts are starting to converse about the 2014 Heisman race. Despite having the reigning Heisman winner, Jameis Winston (2013) returning next season along with Bryce Petty, Braxton Miller and Marcus Mariota, the only thing we as southern college football fans care about is the Southeastern Conference. The SEC will have five players in its Heisman watch next season. The players are Nick Marshall, Dak Prescott, Mike Davis, Todd Gurley and TJ Yeldon. For Yeldon, he had a very productive freshman and sophomore campaign. In both season, he rushed for over 1,000 yards. As a freshman, Yeldon averaged 6.3 yards per carry with 12 touchdowns. This season, he averaged 6.0 yards per carry with 14 touchdowns. With every good statistic, there is always a bad one that follows it. As good a back as Yeldon is, he continues to struggle with holding onto the ball. 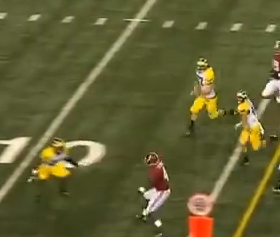 In his freshman year (2012), Yeldon had two lost fumbles. This season, his fumbles increased. Yeldon had five lost fumbles this year and all five of them came in critical moments inside the redzone. One can’t expect to be a Heisman Hopeful, let alone hoist up the bronze hardware at the end of the season if you continuously turn the ball over. Some chatter has gone around the University of Alabama as to say that Derrick Henry belongs in the Heisman conversation more so than Yeldon. 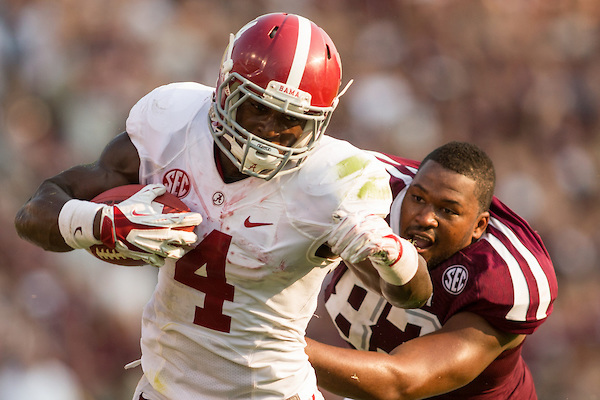 For right now, the 2014 SEC Heisman spotlight is Yeldon’s to lose where Alabama is concerned. The Tide will need huge contributions from its offensive line, if Yeldon wants to win the Heisman next season. After a phenomenal freshman season, in which he rushed for 1,385 yards and 17 touchdowns, many people expected Todd Gurley to waltz his way to the bronze trophy this year. At the start of the season, he was on pace to doing so. Gurley ended the first four games of the season with 71 carries for 450 yards and four touchdowns. An ankle injury kept Gurley on the sidelines for three weeks. He did return and put up good numbers (94 carries for 539 yards and six touchdowns) in the final six games of the season, but the games he missed because of injury really took away his shot at winning the Heisman. Gurley finished this season with 165 carries for 989 yards (6.0 yards per carry) and 10 touchdowns. With him returning to Georgia next season healthy, Gurley will be the staple of the offense. The Bulldogs offensive line must keep him healthy if he wants to win the trophy next season. People are entitled to their own opinion because of the United States Constitution. With this being said when someone brings the word “Auburn” into a conversation it’s immediately followed with the word “luck.” Regardless of what’s been said, Auburn had a great season. Though most of the credit was placed upon Tre Mason, Nick Marshall did a fine job leading the team to the national title game. Despite losing to Florida State (34-31) in a closing and exciting game, Marshall will return next season as one of the frontrunners for the Heisman Trophy. As a first-year starter with Auburn, Marshall commanded the offense well and aggravated defenses with his legs and arm. He completed 59.4 percent of his passes for 1,976 yards with 14 touchdowns and six interceptions. On the ground, Marshall shredded defenses. He totaled 172 carries for 1,068 yards (6.2 yards per carry) and 12 touchdowns. With Mason pursuing the NFL, Marshall will be placed in a bigger leadership role to help Auburn continue this success. He may have to pass the ball a little more next season in the aspect of trying to higher his NFL Draft stock. 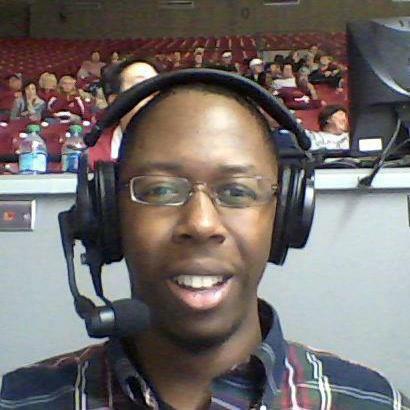 For those who thought South Carolina was going to plummet after Marcus Lattimore left, meet Mike Davis. Davis did a tremendous job this season taking over for Lattimore. He was a complete beast on the ground for the Gamecocks. Davis took a lot of pressure off Connor Shaw and Dylan Thompson. Davis totaled 203 carries for 1,183 yards (5.8 yards per carry) and 11 touchdowns this season. He helped South Carolina achieve an 11-2 record with a victory in the Florida Citrus Bowl against Wisconsin 34-24. Like Gurley, Davis will return next season as the “heart and soul” of the Gamecocks. South Carolina has to keep him healthy if he wants to push for the Heisman next season. If there was award given out for a player who has shown the most toughness, grit, passion and the ability to win a game for their team coming off the bench, Dak Prescott would get the award. Behind Prescott, Mississippi State achieved its fourth bowl (third bowl win) appearance under Dan Mullen. With LaDarius Perkins struggling and Tyler Russell injured a lot; Prescott was 80 percent of the Bulldogs offense. He completed 58.4 percent of his passes for 1,940 yards with 10 touchdowns and seven interceptions. Most of Prescott’s production for Mississippi State was on the ground. This season, he totaled 134 carries for 829 yards (6.2 yards per carry) and 13 touchdowns. If the Bulldogs want to bring home a coveted bronze trophy, it would be in their best interest to keep Prescott healthy. Though it will be a full offseason before we can really starting planning for this, it’s always good to think about it. For Alabama, it could have its second Heisman winner (2009—Mark Ingram) if Yeldon can be productive. Auburn could bring home its third Heisman winner (Bo Jackson and Cameron Newton), if Marshall really puts on a show next season. The same goes for Georgia (Gurley), South Carolina (Davis) and Mississippi State (Prescott). The question that remains is which one will rise out of the pack in the SEC?